SALUD Colloidal Silver is produced with uncompromising care in New Zealand from the purest obtainable materials. Our company's philosophy is to offer the finest essential health products at prices that make them affordable for everyday use. 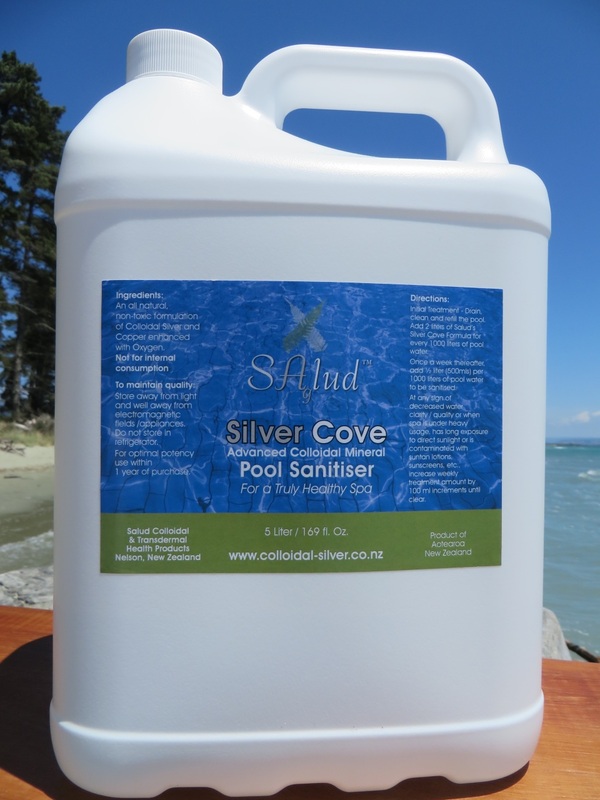 Colloidal Silver is nature's broad-spectrum antibiotic and rapid tissue healer. SALUD Colloidal Silver is manufactured using state-of-the-art equipment to produce products to an ultra-pure standard of pharmaceutical quality. This superior silver hydrosol is then incorporated into an array of SALUD health and personal care products ranging from ointments to deodorants. SALUD Transdermal Minerals are the leading-edge form of mineral supplementation via superior absorption through the pores of the skin delivering safe and perfectly tailored dosages. 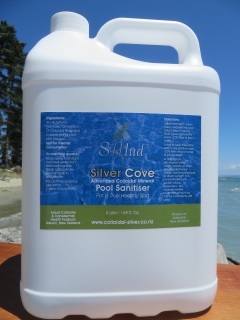 SALUD's Silver Cove Natural Spa Sanitiser allows you to replace harsh, toxic chemicals with the health and skin-enhancing virtues of Colloidal Silver. Subscribers - Use the Gift Coupon Code at check-out (found in your April Newsletter) for 20% off selected products. Not yet a Subscriber? Subscribe to our monthly newsletters during the month of April and get 20% off any order from Salud. 10 ppm (parts per million), two 520 ml amber glass bottles with a cap. Our ultra-pure pharmaceutical-grade solution and the basis of all our CS products. Unwind is a transdermal Magnesium formulation to raise overall Magnesium levels. Organic essential oils work synergistically with Magnesium to powerfully relax the body. Apply lotion directly to skin and rub in gently. 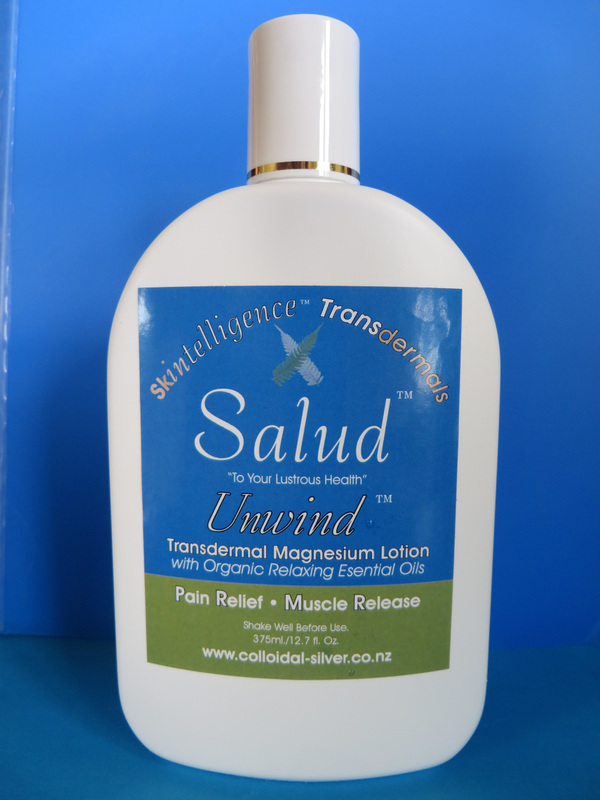 Apply directly to release muscle tension and cramps and provide relief from pain. 10 ppm (parts per million). 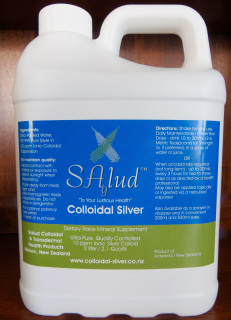 Our ultra-pure pharmaceutical-grade solution and the basis of all our CS products.SALUD Colloidal Silver is produced with uncompromising care in New Zealand from the purest obtainable materials. 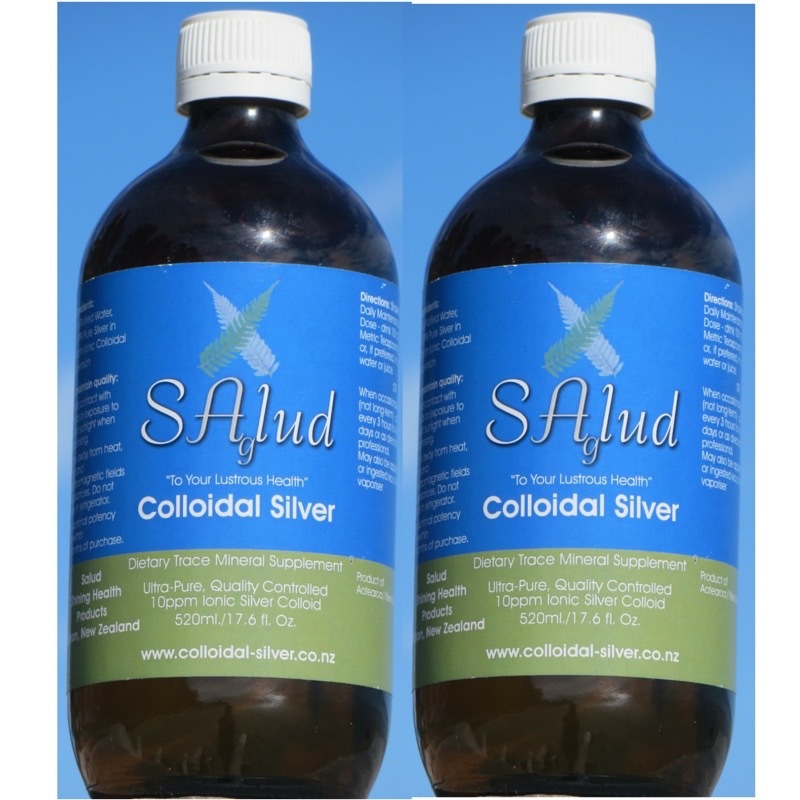 Salud Colloidal Silver is manufactured using state-of-the-art equipment to produce products to an ultra-pure standard of medical –grade purity. Drink 10 mls (two metric teaspoons) a day, full strength or, if preferred, in a glass of water or juice. Up to 50 mls (ten metric teaspoons) a day – in 10 ml doses – as directed by a health professional.